By combining aggressive styling and proven performance, the NITEMARE is far from a bad dream. 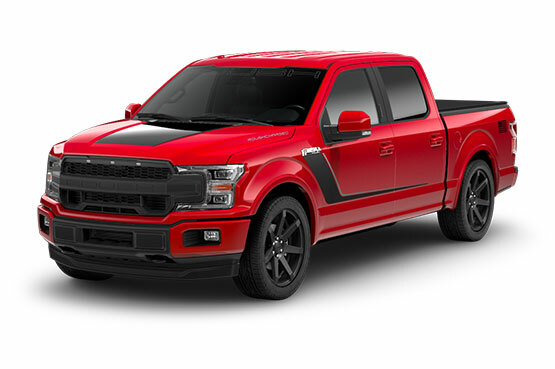 The 2018 ROUSH F-150 NITEMARE is a purpose-built street performance machine. This truck is equipped with the ROUSH TVS R2650 Supercharger package which sits atop Ford’s 5.0L V8 powerhouse. This powerful combination puts out 650 horsepower and 610 lb-ft of torque, giving you the ultimate thrill when you hit the accelerator. To accentuate the power of the ROUSHcharged V8 engine, our Performance Exhaust System adds an aggressive sound to the F-150 NITEMARE. The optional ROUSH Dual Tip Active Exhaust System uses ROUSH Performance Valve Technology to let you choose between four settings: a touring mode, wide-open mode, sport mode, and custom mode. The included console-mounted dial allows the driver to switch seamlessly between each of the exhaust's "open" and "closed" valve positions. 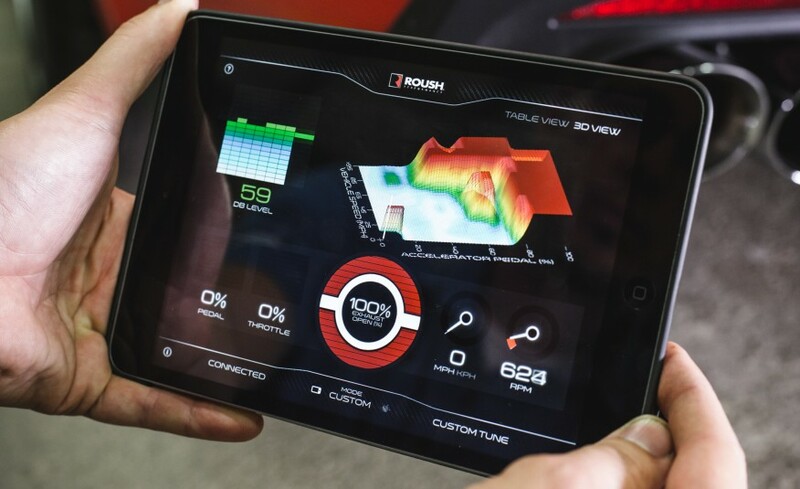 Drivers can also utilize our ROUSH Active Exhaust mobile app to select from the preprogrammed exhaust modes or create a custom profile. Developed with race technology in mind, the 2018 ROUSH F-150 NITEMARE includes a set of custom 22-inch ROUSH wheels wrapped in Continental Crosscontact LX20 285/45R22 tires, which provide maximum grip with limited slip. The exterior of the ROUSH F-150 NITEMARE features an aggressive full grille replacement featuring our signature integrated accent lighting. Also included is a front bumper cover that has been designed in-house and is compatible with Ford's adaptive cruise control system. In addition, the exterior design features our customizable ROUSH graphics packages with signature hockey stripe side graphics. 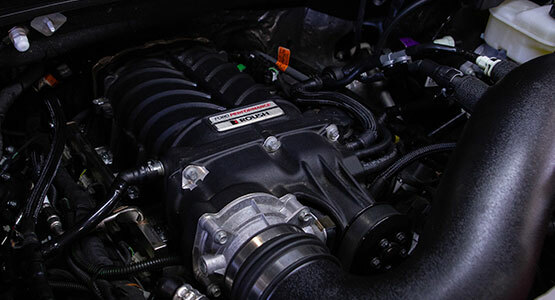 At ROUSH Performance, it's not enough to deliver heart-pounding performance, unparalleled refinement, and off-road capability. We take a step further and back-up the 2018 ROUSH F-150 Nitemare with an industry-leading 3-year, 36,000-mile limited warranty to show you that we are with you on this ride.